Pro Service Cleaning LLC, is known for its prestigious hotel cleaning service. We are pleased to work with hotels all over Palm Beach County, Broward County and Dade County, including Ft Lauderdale, Boca Raton, Pompano Beach, Hollywood, Miami, and Weston. We have a good relationship with hotel chains and small privately owned hotels. Our professional cleaning services are used in hotels, schools, offices, hospitals, warehouses, shopping malls - so we know what we need to do, and we will go above your expectations to provide it. Our hotel housekeeping services are varied, and we can tailor them to your needs. We offer back of house cleaning, room cleaning, common area lobby cleaning, hotel tile cleaning, hotel grout cleaning, hotel window washing, and hotel trash removal. We also offer hotel housekeeping services, like making beds, cleaning bathrooms, vacuuming, and toiletries. Our hotel room cleaning is completed efficiently, and on the schedule that works for you. In addition, we provide other hotel janitorial services like hotel lobby cleaning, hotel carpet cleaning, and office cleaning. Pro Serfvice Cleaning, LLC, offers daily, weekly, and monthly contract cleaning options. We can clean in the morning, afternoon, or night - whatever works best for you. We even have vans available to transport cleaning staff if projects come up. We are flexible so that we can provide the highest quality hotel janitorial services to you. 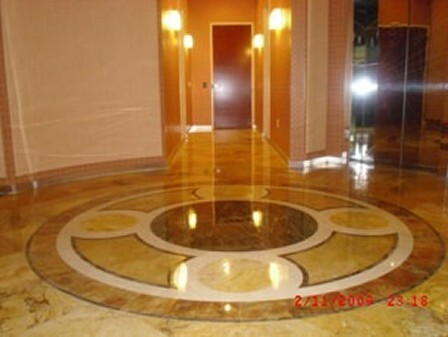 Pro Service Cleaning, LLC, is a Miami Residential/Commercial Cleaning company. Our main offerings include: Janitorial Services, Floor Waxing, Carpet Cleaning, Marble Polishing, Window Washing, Office Cleaning Services, ile and Grout Cleaning, and Janitorial Building Maintenance. Common tags: Hotel Cleaning Service, Window Washing, Professional Cleaning, Carpet, Janitorial, Tile, Grout, Housekeeping, Room, Lobby.